The Beverly 1-3/4 in. 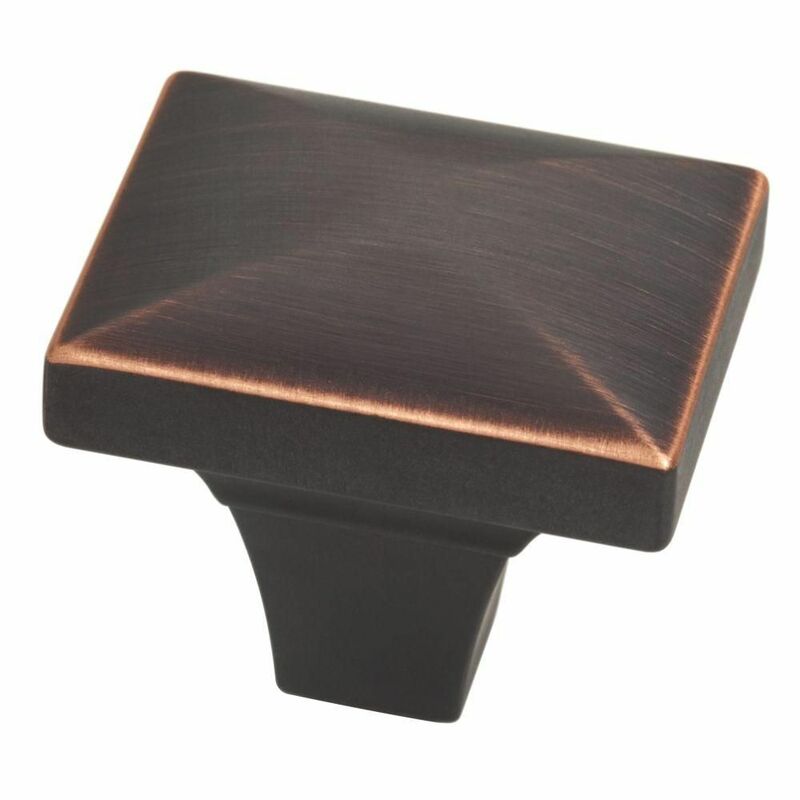 Bronze Knob is a cabinet knob with a premium bronze finish and copper highlights that provides a unique look. High-quality zinc die-cast base construction for years of use. Hardware included for ease of installation. This modern design adds sophistication and elegance to your cabinetry or furniture. Fasteners are sized to work with standard 3/4 in. drawer fronts and cabinet faces. Installs easily for an instant, noticeable change. Multiple finishes available. The Pryce knob features a classic oval knob with a vintage styled back plate. A great hardware choice to add nostalgia and charm to cabinetry or furniture. These knobs are crafted from die-cast zinc for long lasting quality and durability. Installation hardware is included for your convenience. Inspired by classic nautical elements, the Anchor knob gives your room a stylish bit of coastal inspiration. The three dimensional design adds unique visual interest. Ideal for furniture makeovers or beach themed bathroom décor. 1-3/4 in.Beverly Knob The Beverly 1-3/4 in. Bronze Knob is a cabinet knob with a premium bronze finish and copper highlights that provides a unique look. High-quality zinc die-cast base construction for years of use. Hardware included for ease of installation. 1-3/4 in.Beverly Knob is rated 4.2 out of 5 by 5. Rated 3 out of 5 by Julie from Beautiful!! Much larger than expected. These would work better on doors or cabinets, not drawers. Beautiful!! Much larger than expected. These would work better on doors or cabinets, not drawers. Rated 4 out of 5 by Lisa from I like the color and quality. Delivered as promised. Very... I like the color and quality. Delivered as promised. Very happy. Rated 5 out of 5 by TTGA from BEAUTIFUL I completely re-vamped my kitchen about 16 months ago. I knew what I wanted but was having a difficult time piecing everything together. The kitchen knobs I wanted for my new, beautiful, antique-white cabinets and my granite countertop had to be just the right size. I looked and looked... and then I found these beauties!!! What an eye catcher with everything put together. They have held up for just me... Then I was joined by my mother, sister, and her three growing kids... And they have never fallen off the draws/cabinets, lost their color/finish, or tarnished.